Whether you’ve just bought your first house or you’re choosing to update land you’ve owned for a while, new landscaping can breathe life into your property in ways you probably never thought possible. Most people don’t go into the landscaping process with a ton of space to work with. The typical Atlanta-area suburban home sits on slightly more than a third of an acre. While a smaller lot size can be a good think in keeping costs and maintenance of outdoor visual features down, it also sometimes necessitates the need for creativity in maximization of space. The following guide will help you decide what to gravitate toward and what to avoid in terms of plantings and arrangements for your small landscaping space. First, determine how much maintenance you want to perform. Do you want to have plants and trees that have flowers and leaves virtually all year long? If so, are you willing to do the necessary upkeep to maintain their overall health? If you want to go this route, you also need to determine feasibility by figuring out which growing zone you are in and which plants that zone supports during different seasons. Once you’ve figured out which plants will grow the best in your zone, you need to figure out just how much of your space you’ll be devoting to manicured landscaping. You might want to start out with a small space, say, between your lawn and your fence or between your fence and the sidewalk. This way, you can see how much maintenance you’ll be taking on, and you can find ways to expand the garden if you take a liking to the upkeep process. Don’t skip the design process. It’s good to actually sit down and put pen to paper when determining how you will layer plants, so you can plan for maximum visibility. You’ll typically want to put taller plants toward the back of a landscaping arrangement while keeping shorter ones up front, so visitors can easily enjoy everything you’ve planted. Plan for walkability. 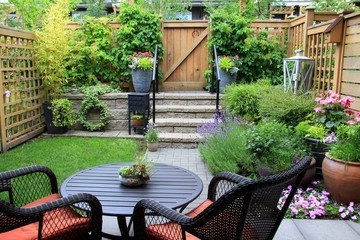 You need to leave an adequate amount of space for caretakers of the garden to be able to move around in it. If you’re having to step on plants in order to take care of your landscaping, you’ve planted them too close together. Finally, have an installation plan set up. Many people install gorgeous plantings themselves, and if that’s something you think you’ll enjoy, that’s great. 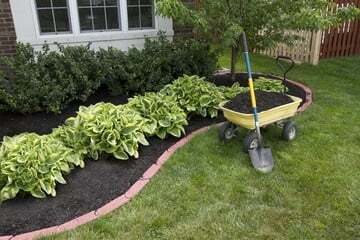 But if you’ve never done this before and you need some support from experts in landscaping in Suwanee, GA, don’t hesitate to head over to www.stoeckiglandscapegroup.com to see the expert services available. You’ll find expertise in the areas of design and installation, and chances are, if you’re not an experienced landscaper, you’ll be glad of these available support services. So, contact an expert to help design your new landscape today!